Dr. Arlene “Lu” Steinberg radiates excitement as she tours the new home of The Max and Celia Parnes Family Psychological and Psychoeducational Services Clinic on the campus of the Albert Einstein College of Medicine in the Bronx. Despite evidence of its still-bare bones—several walls remain unpainted and electric wiring hangs from the ceiling—one thing is evident: The Parnes Clinic’s new facility will soon reflect its distinction as a premier training site in psychodynamic and cognitive behavioral therapy. Dr. Steinberg, a member of the board of overseers at the Ferkauf Graduate School of Psychology (which runs the clinic), an alumna of the school and a psychologist/psychoanalyst whose thriving private practice often supports victims of trauma, is understandably proud. And it’s more than simply because her daughter, Ilana Schulder, is following in her footsteps as a Ferkauf student. Updated technology and a fresh look will no doubt allow the Parnes Clinic to better serve its Bronx community, one of New York’s most underserved. Among the vast array of services offered within its walls, the clinic offers compassionate treatment to clients who have faced unthinkable trauma, including violence, sexual abuse, significant illness and bereavement. It’s a subject Dr. Steinberg knows well. As Ferkauf’s Distinguished Alumna this year, she will give the keynote lecture, “More than Meets the Eye: Reflections on Progress in the Trauma Field from a Personal and Professional Journey,” at the school’s annual Distinguished Alumni Event on Thursday, March 28, at Lincoln Square Synagogue in Manhattan. The lecture is dedicated in memory of her mother, Lillian Steinberg, a Holocaust survivor who herself faced inconceivable suffering and whose resilience inspired her daughter’s body of work. As the child of Holocaust survivors, Dr. Steinberg was raised with a unique perspective on trauma. Her father, Milton Steinberg, 94, is a survivor of Hungarian slave labor and the Mauthausen and Gunskirchen concentration camps. Her mother, who passed away last year, spent 37 months in Auschwitz. Their experiences influenced her research while working toward her Doctor of Psychology, or PsyD, which focused on the children of Holocaust survivors. “At the time, much of the research on this cohort, including research on their relationships, was very negative,” Dr. Steinberg explained. She understood that children of survivors often view themselves as more emotionally attached to their parents than their peers. Yet despite their sense of attachment, this didn’t fit with the loving, healthy relationship she shared with her parents or the experiences of others she knew. 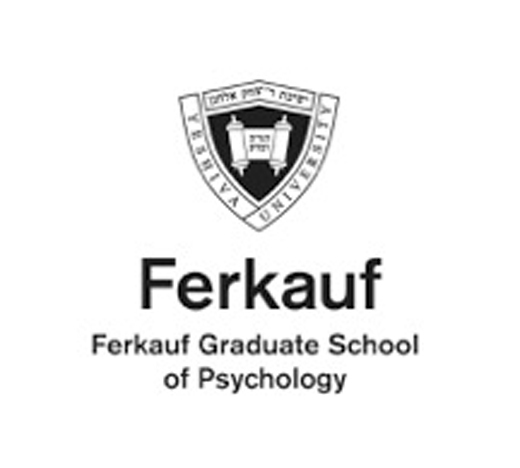 “At Ferkauf, I had the opportunity to do projective testing and interviews. I found significant results that the relationships among survivors and their children were psychologically no different than in other families; it was their perception of the relationship that was different,” explained Dr. Steinberg, whose pilot study was later replicated in a study in Holland. Trauma was an emerging field while Dr. Steinberg was a student, with post-traumatic stress disorder only recently recognized as a disorder. But she soon learned that a major component of helping trauma patients is understanding that reverberations of trauma can co-exist with resilience. Lillie Steinberg lost everyone during the war. Nothing and nobody remained in her childhood home in Slovakia. She went to Prague, where she worked for the Vaad Hatzalah. “The organization was working to get survivors out of Europe at the time,” Dr. Steinberg recalled. “It was important work for my mother, even though she had no idea how she would get out herself.” Eventually, she came to the United States on a teacher’s visa, where she made a new life and met her future husband during English class. Dr. Steinberg finds a connection to the agonizing trauma that today’s refugees often endure, which fuels her interest in offering support. It also has inspired her daughters, who are drawn to fields where they, too, can make an impact on people’s lives. Ilana is a second-year student in the child clinical PsyD program at Ferkauf, and Talia Schulder, a program manager at the Institute for Contemporary Psychotherapy, is considering going in the same direction. 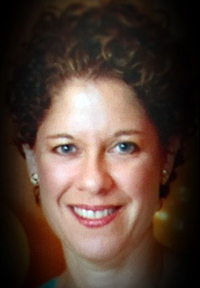 Her husband, Dr. Michael Schulder, is professor and vice chair of neurosurgery at the Zucker School of Medicine at Hofstra/Northwell in Hempstead, New York, where he also serves as director of both the hospital’s neurosurgery residency program and the Brain Tumor Center. Through the American Psychological Association (APA), Dr. Steinberg has become involved with immigration and refugee issues, serving on a working group on immigration that explores the psychological ramifications of the process. She recently co-edited with Dr. Judith Alpert, professor of applied psychology at New York University, a special issue of Psychoanalytic Psychology on boundary violations between mental health practitioners and their patients as well as a forthcoming book with APA Press on Sexual Boundary Violations: Indiscretions, Transgressions and Misconduct with Dr. Alpert and Dr. Christine Courtois, who specializes in the treatment of trauma. This sensitivity to the unique trauma immigrants can experience also informs her leadership at Ferkauf. The revitalized Parnes Clinic will offer a beneficial space for its Asylum Project, which trains students to psychologically evaluate asylum seekers and write reports that are presented in court on their behalf. Students have employed these specific skills and nuanced approaches in the work they have done with asylum seekers in detention centers in Dilley, Texas, and other areas of the country. Of the more than 40 asylum seekers who gone to court with a Ferkauf evaluation, all have been successful in their pursuit. “I’ve loved being a part of the Ferkauf board,” Dr. Steinberg stated. “It’s provided so many opportunities to get involved in areas that matter to me.” She serves as an adjunct professor at Ferkauf, where she supervises students in the child clinical program, and teaches in the graduate program in pastoral counseling, a joint initiative of Ferkauf and the Rabbi Isaac Elchanan Theological Seminary (RIETS) designed for RIETS students who plan to pursue a career in Jewish communal work. Regardless of whether her work is professional, personal or in a leadership capacity, it boils down to one thing: compassion. Inspired by her mother, it’s the distinctive trait that she’s passed down to daughters who “have always wanted to do good in the world.” Those are words that Dr. “Lu” Steinberg clearly lives by. Funds raised from the Distinguished Alumni Event will benefit Ferkauf’s Asylum Project.